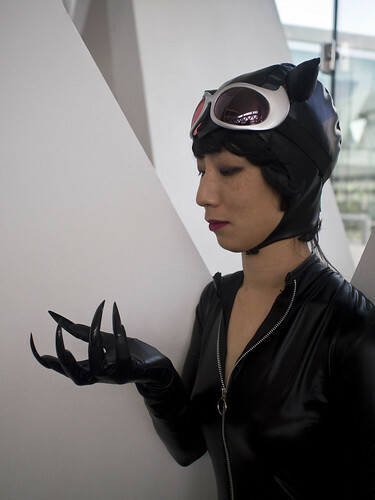 Here are the photos we took of my Catwoman costume at Baltimore Comic Con. Each time I work on this, it’s getting a little better. 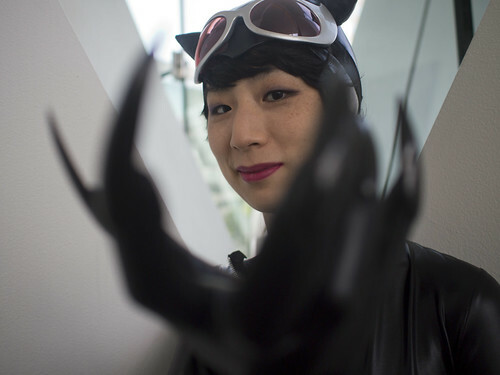 This time I made a new cowl and new gloves, switched out my wig, and added a new whip and new goggles (the goggles were made by Idzerda Designs). 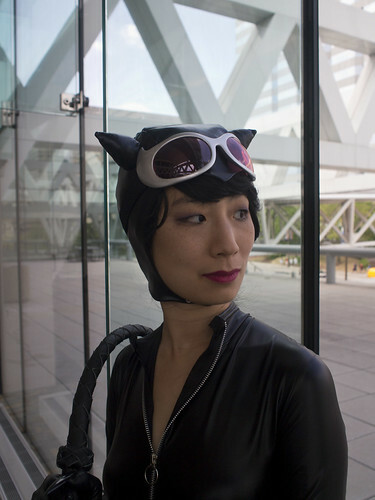 Next time (because apparently I can never call this one finished) I want to make a new belt buckle and maybe futz with the cowl again.